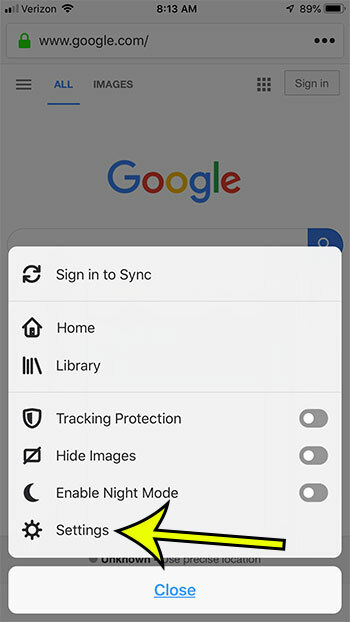 Private browsing is a helpful feature in a Web browser, when you want to sign into a site with a second account, view search results without any personalization, or visit a site without your stored cookies affecting the browsing session. Typically when you use private browsing, the session is one that you won’t need to access again in the future. 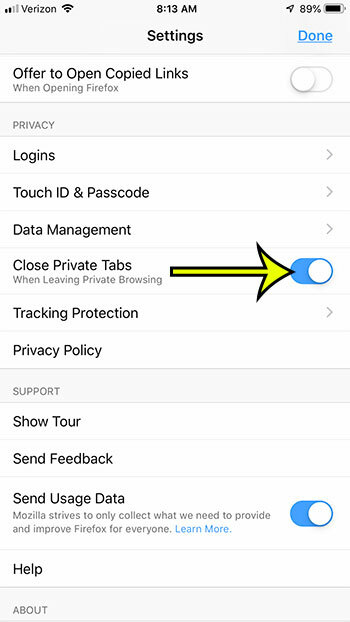 But if you are using private browsing in the Firefox iPhone app and find that your private tabs are still open, then you might be looking for a way to change that. Our guide below will show you how to make sure that Firefox closes your private browsing tabs when you leave private browsing. The steps in this article were performed on an iPhone 7 Plus in iOS 12.1.4. I am using the 15.1 version of the Firefox app. Note that you will still need to close the private browsing session for those tabs to close. Simply exiting the app won’t do it. 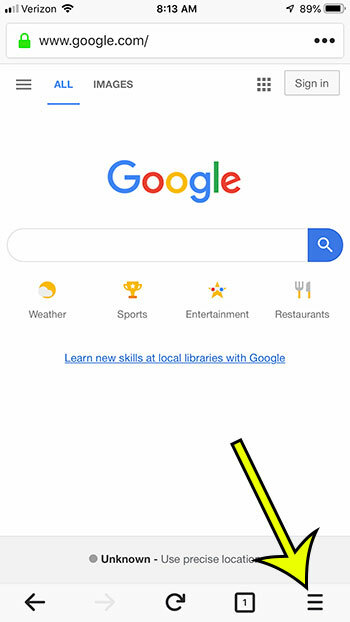 You need to open the Tabs screen, then tap the mask icon to end the private browsing session. Step 4: Scroll down and tap the button to the right of Close Private Tabs to turn the option on. Having trouble with some sites in Firefox, and think it might be cookie-related? 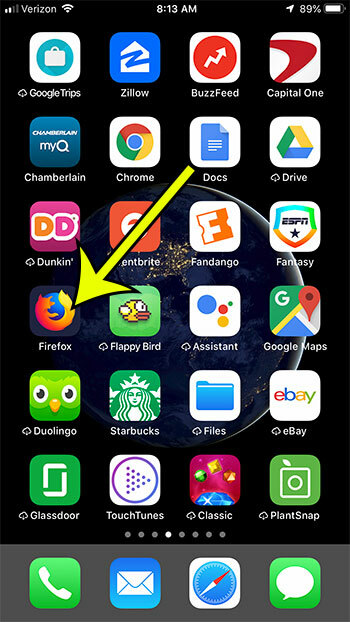 Find out how to clear cookies in Firefox on an iPhone and delete the stored data in the browser.